Following the retirement ceremony for the father (Moon Chang-gil (문창길) from his teaching position, he and his family gather together for a meal at a Chinese restaurant. In the presence of his two sons (Kim Min-hyeok (김민혁) (Hur Jaewon (허재원) and daughter-in-law (Lee Sang-hee (이상희), and amid frustrating quarreling, the father shockingly announces that he wishes to divorce from his wife (Lee Yeong-ran (이영란). Stunned, the family struggle with the situation and find comfort in the fact they will soon be traveling back home. Yet as the snowfall becomes heavier and the buses are cancelled, the family members are forced to stay in a small country abode and must confront the issues they have with one another. 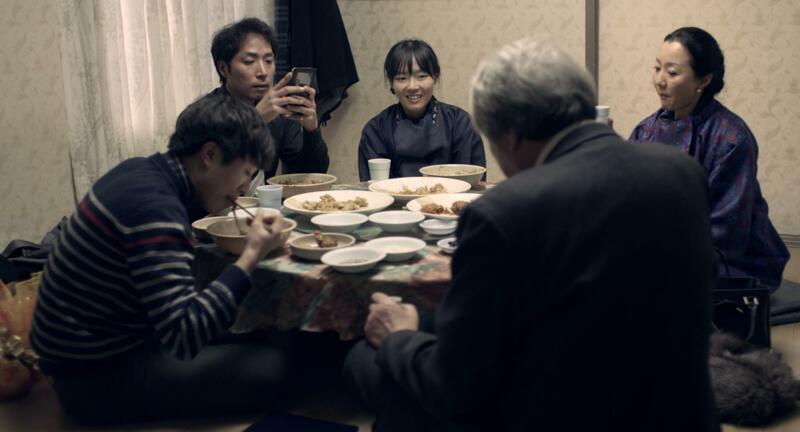 Upon its premiere at the 2014 Busan International Film Festival, End of Winter (철원기행) won the prestigious New Currents Award along with Iranian film 13, an accolade that celebrates new Asian film makers of vision. Director Kim Dae-hwan (김대환) certainly has impressive technical prowess as the film’s great strength lies within the composition of the mise-en-scene and cinematography, constructing a dogme 95-esque realism that lends a great deal of sincerity to the proceedings. The manner in which the family members interact with each other similarly evokes such sensibilities, as they are a group of people bound by blood yet who don’t particularly know or understand one another. The awkward conversations and tensions that arise, as well as the issues that each person is hiding yet which gradually come to light, are interesting to watch unfold and are given weight by director Kim’s cinematic realism, as events slowly transpire to reveal the complicated relationships between each person. That said, End of Winter is an especially slow-moving drama. The protagonists within the film often refuse to speak or give clear answers during conversations which is a huge source of frustration, stunting plot progression as well as character and relationship development, making the viewing experience quite laborious. While it is clear that each character has an interesting motivation and a desire to express it, the withholding of such dilemmas results in a stifling and repetitive story, and one that would certainly be more engaging were more confrontations allowed to occur in addition to the subtleties and allusions to greater issues. Ultimately, Korean audiences are more likely to appreciate and engage with the film more given the nature of the drama, yet even they may find End of Winter somewhat of a chore given their propensity for more typically entertaining generic fare. 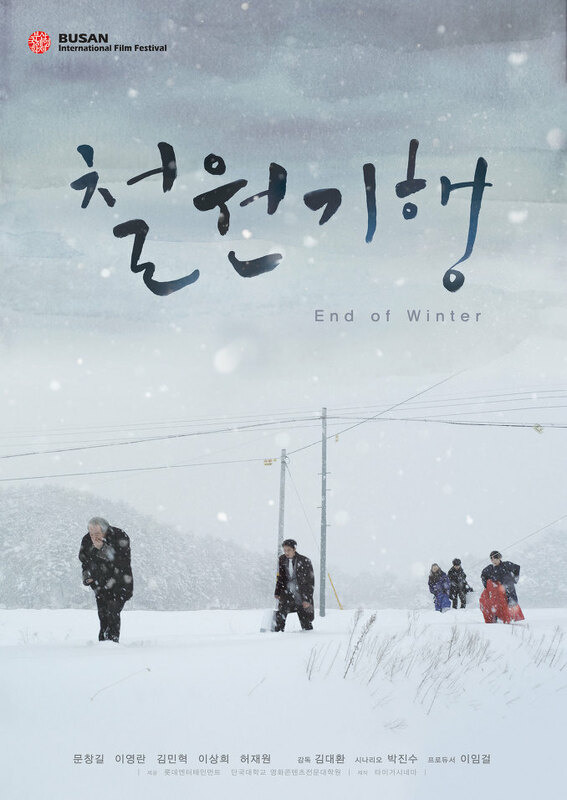 End of Winter is a technically impressive film by director Kim Dae-hwan, whose prowess in regards to mise-en-scene and cinematography evokes potent realism and sincerity. Yet the focus on such cinematic realism, while interesting, results in a family drama that is quite a laborious viewing experience due to the particularly slow pacing of the narrative and the highly restricted dialogue and confrontations.